Hi guys! A couple of weeks ago, I posted the press release for the upcoming collaboration between Brooke Anderson and Gabriel Cosmetics. This is a new to me brand, and I was excited to try them. 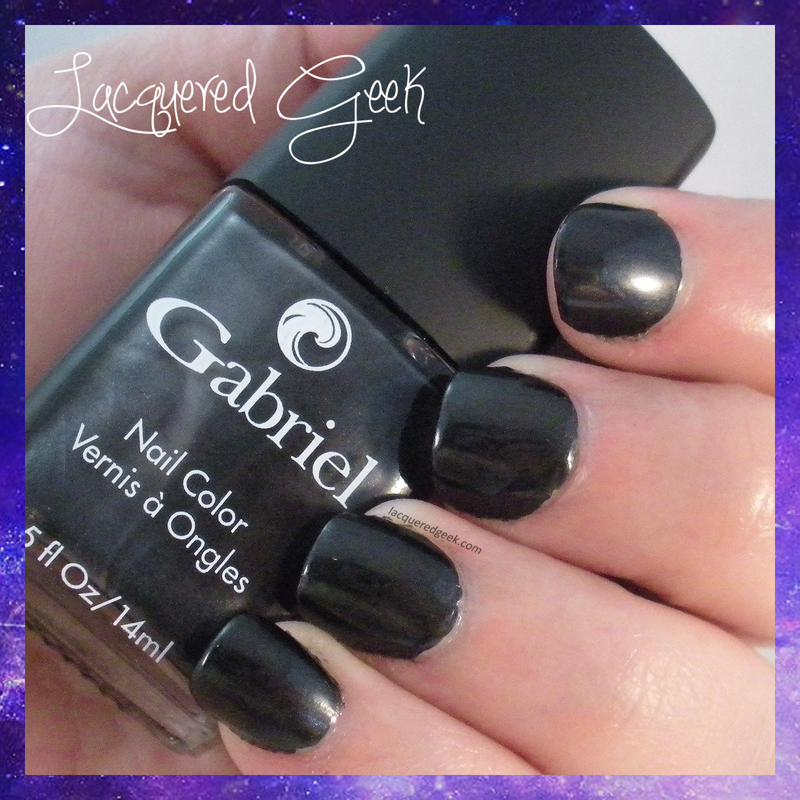 Today I have two polishes from that collection to show you! 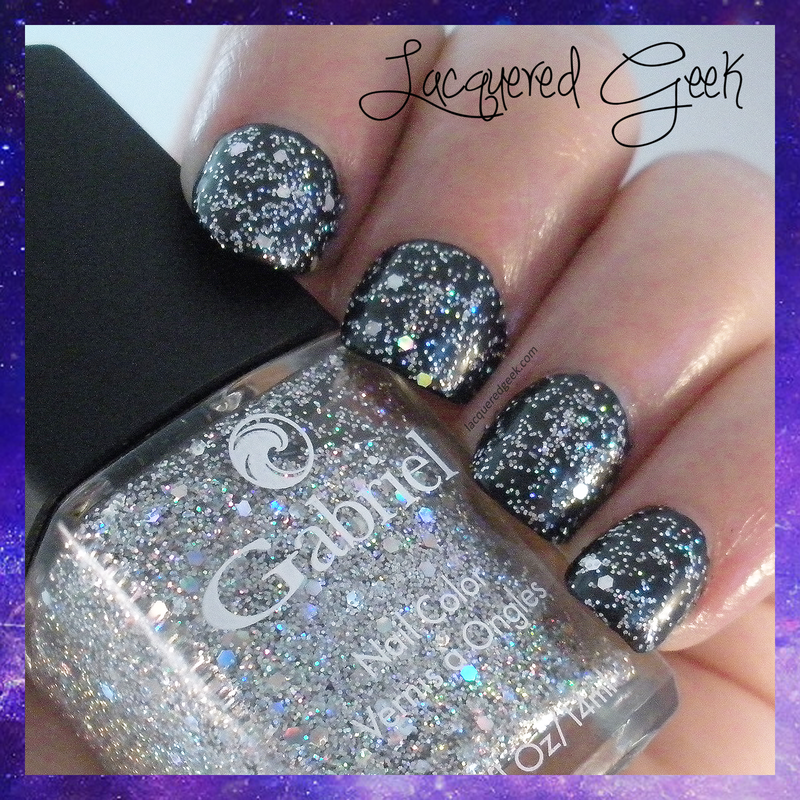 Hush Hush is a shimmery steel gray. 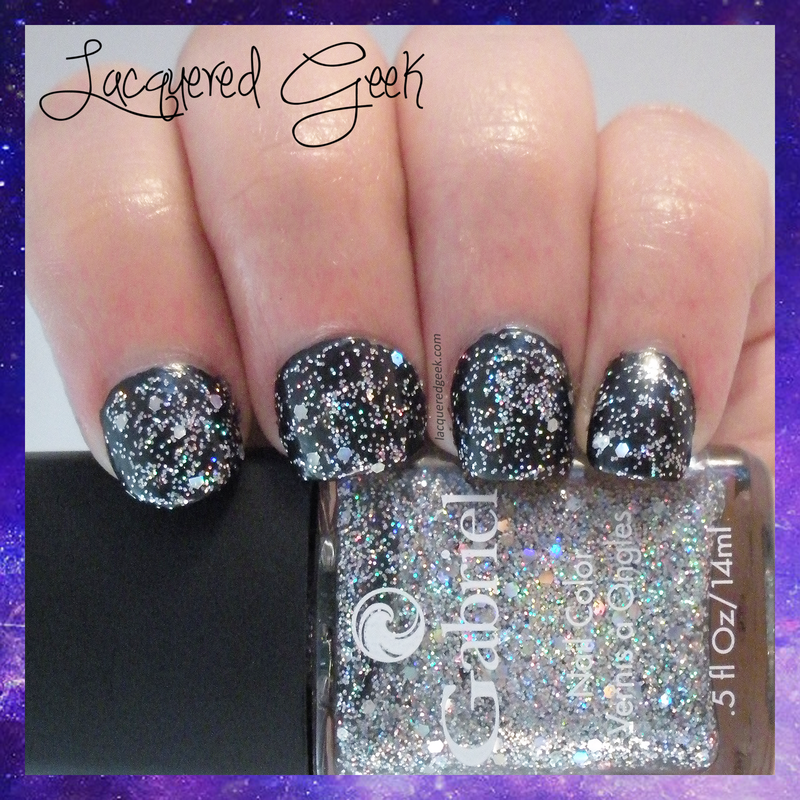 The shimmer really helps to set this color apart from similar polishes. It also helps to make it a little more delicate. I'm wearing 2 coats in these photos, but I could have easily gotten by with just one coat. It had a very smooth and quick-drying formula. Next, I have Shine Y'all. 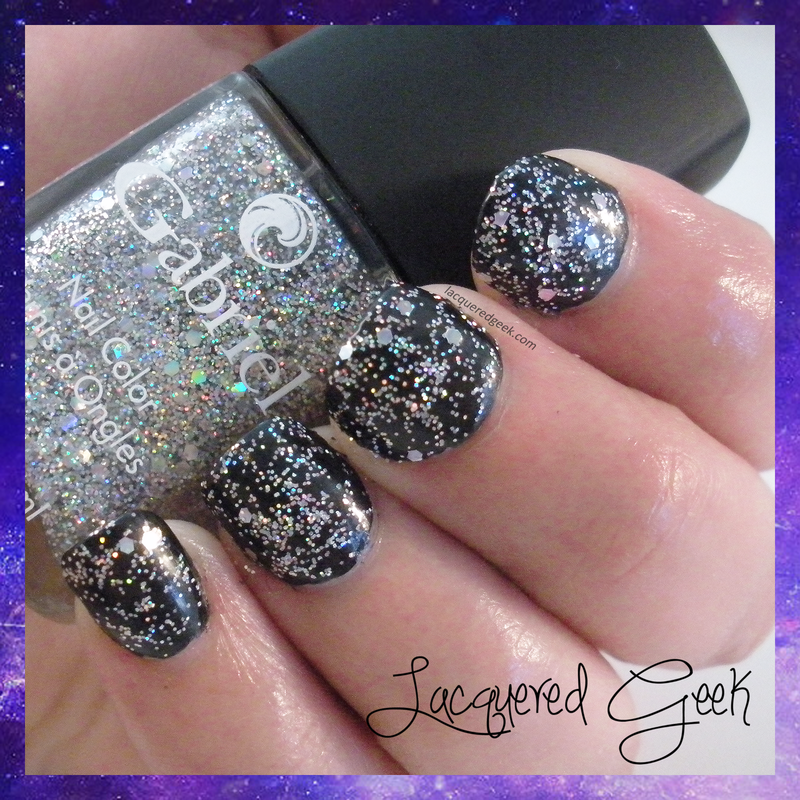 It's a fabulous chrome/holographic glitter topper. It is packed full of microglitters and larger glitters. I absolutely LOVED this polish!! 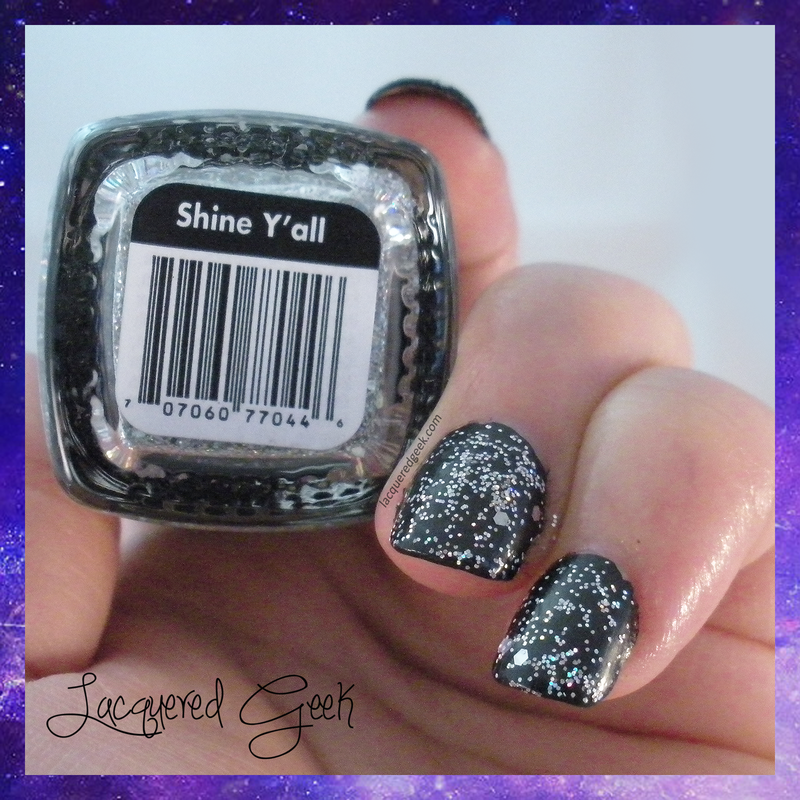 I'm wearing just one coat of Shine Y'all over Hush Hush in these photos. The glitter payoff was outstanding. Even though it's in a clear base, it might be possible to build this one up to full coverage. Can you imagine how blingy that would be?! So what do you think of these polishes? I love finding new companies that have outstanding products! 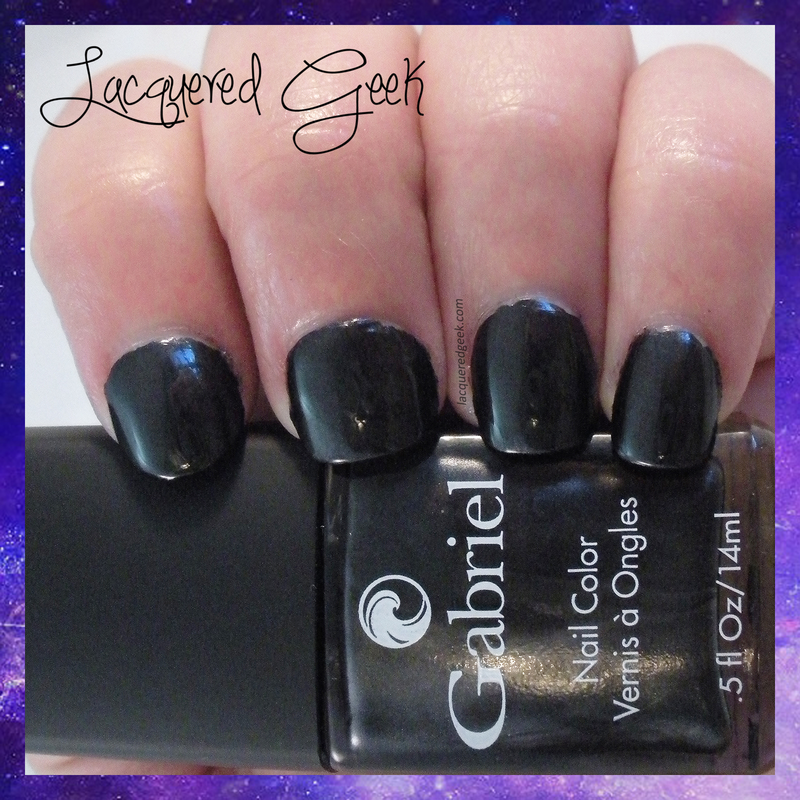 I use a few other products from Gabriel Cosmetics but I have never tried the nail polish. I've really wanted to! The entire collection looks great. 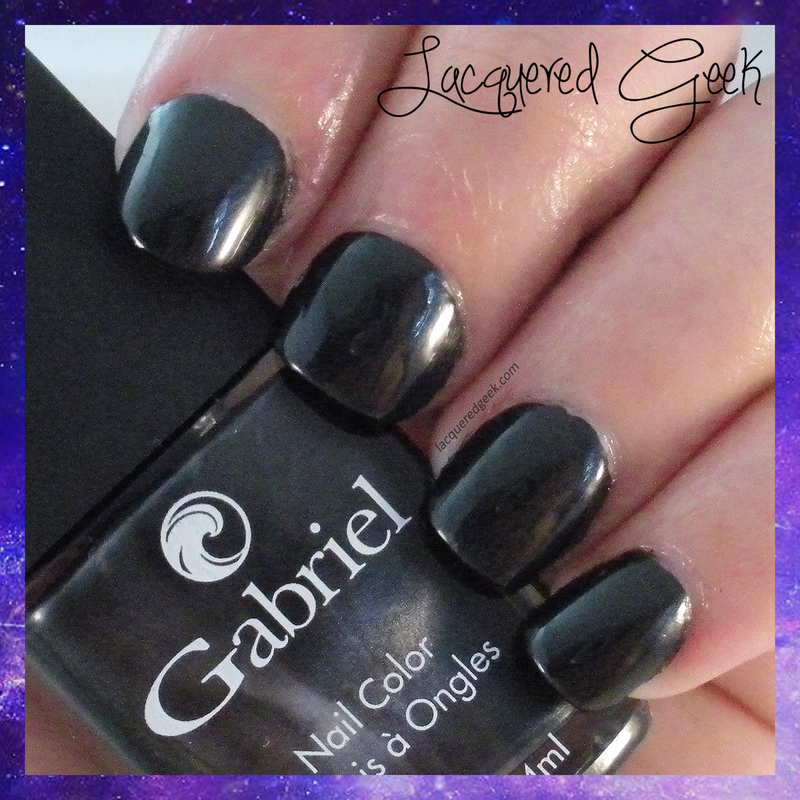 I haven't heard of Gabriel Cosmetics, but I love Shine Y'all! It's such a pretty shimmer coat!